What defines Staten Island? What does it mean to be a Staten Islander? Join the discussion, and lift your Island pride and awareness with borough-centric stories, music, and poetry performances from true Staten Islanders. Thomas Fucaloro, poet, founding editor of Great Weather for Media, and editor of Staten Island’s new literary magazine NYSAI. 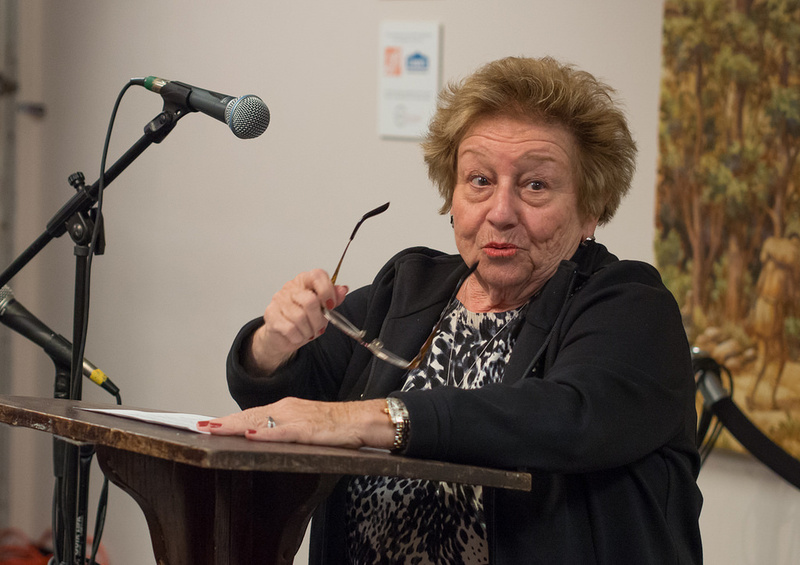 Marguerite María Rivas, professor and poet who draws inspiration from the history, culture, and environments of Staten Island. Bob Wright, award-winning multi-instrumentalist whose songs celebrate lighthouse keepers and oysters; breweries and bridges; immigrants and entertainers. Share your own stories, memories, and anecdotes in our Open Mic! 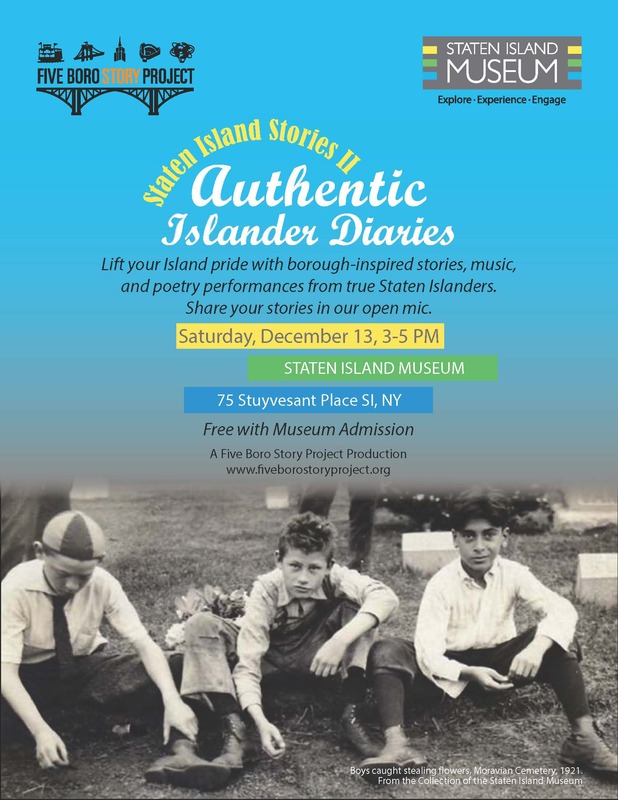 Authentic Islander Diaries is presented in conjunction with the Staten Island Museum. The Staten Island Museum is located at 75 Stuyvesant Place. For directions, CLICK HERE. View “Authentic Islander Diaries” photos HERE.